This is a gig-getting secret that is being revealed for the first time. This idea has never been in print anywhere else before. It is one of the most effective ways to get more gigs ever devised, especially if you do shows for children. This idea is 100% original with me and is one of my best booking secrets that I am finally releasing to my fellow magicians. You go out in public, to a mall or on a busy street and dozens of people will approach you and ask to see a trick and ask for your business card. Guaranteed! Mp< Can be done seven days a week and it will get you more gigs; many people will book you on the spot. All you need is a business card and my technique and you will start getting more gigs than you ever dreamed possible. This is easy to do and is far more effective than websites or yellow page advertising. YOU DO NOT APPROACH OR STOP PEOPLE. THEY WILL APPROACH AND STOP YOU. MOST WILL BE QUALIFIED BUYERS FOR YOUR SHOW. When you read the secret, you will wonder why you didn't think of this. It is something currently no other magicians are doing, to the best of my knowledge, unless they read my book. This is one of the cleverest marketing ideas you will ever read and it is something you will use. This secret is worth hundreds of dollars to any children's entertainer; however it can also be used to book adult shows. Just one gig obtained from this method will more than pay for this PDF. You will thank me over and over for revealing this to you. 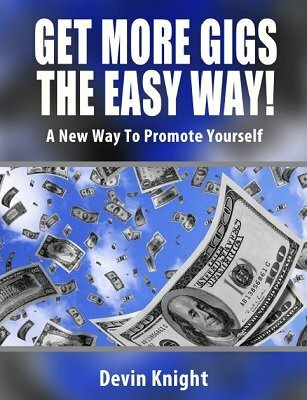 It's your solution to getting more gigs fast!